Identity startup Cambridge Blockchain has received an undisclosed investment from PayPal as part of its Series A funding round. Founded in 2015, Cambridge Blockchain develops blockchain-based identity management and compliance software solutions for financial institutions. The company’s claims that its distributed architecture resolves the competing challenges of transparency and privacy, resulting in faster customer onboarding, lower costs, and enhanced compliance through a single, trusted and consistent view of customer reference data. The investment from PayPal is an extension of Cambridge Blockchain’s Series A funding round, which includes new investments from Omidyar Network and Flourish, a venture of The Omidyar Group. 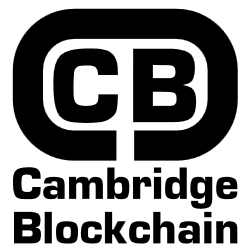 In May 2018, Cambridge Blockchain raised $7 million in the first close of its Series A round led by HCM Capital, the venture arm of Foxconn Technology Group. Partech, Future\Perfect Ventures, and Digital Currency Group also participated in the round. As part of its investment, Paypal will be working with Cambridge Blockchain to explore potential collaborations to leverage blockchain technology.